Home / Events and projects / Eat smart pop-up brunch in Athens. Eat smart pop-up brunch in Athens. For the first time Embassy of Sweden in Athens, Impact Hub and partners invite to a mindful Eat Smart Brunch where everyone around Athens is welcome. The brunch is part of the global initiative Eat Smart Challenge 8-14 April arranged by SI. What is better than brunch and your Eat smart brunch? How do you perceive food on the whole, from its production, to the consumption’s stage through its packaging options? Young producers of organic goods, already vegan & vegetarian food joints and zero waste businesses will meet up to re-imagine the way we eat and perceive food. 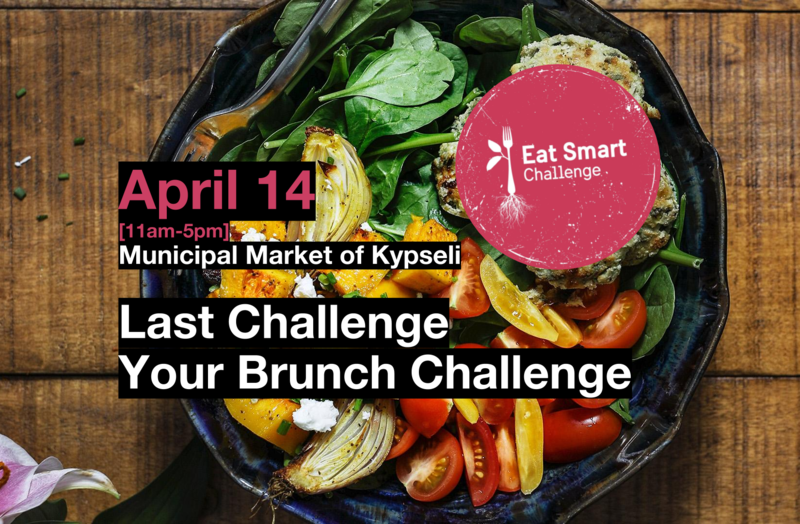 Along with the food vendors, selected food bloggers will have the challenge to cook snack and sweets for the pop up brunch for a cost up to 3 euros. Top chefs present receipies with otherwise wasted or saved food from participating restaurants around the neighbourhood during the week from the Wednesday market to inspire more people to follow their examples and consumers to prefer them. Based on past experience organisors anticipate some 2000 participants.